Susan Papernow in her classic book Becoming a Stepfamily differentiates between “outsider” (step) and “insider” (biological) relationships. Parents are stuck insiders. Stepparents are stuck outsiders. Outsiders can feel invisible, alone and feel guilty about their bond with the stepchildren. Biological parents and their kids may not realize the small and subtle ways a stepparent can feel left out. Stepparents do not realize that it is normal to feel a persistent sense of jealousy, inadequacy, and resentment. One parent, and not the other, gets to live with and have her kids usually under the same roof at night. The outsider position can be exhausting even for the most devoted step-parent. The biological bond is impossible to replicate, but it helps if the blended family starts before the kids are 4. Both stepparent and biological parent usually consider a shift into a relationship just like a biological one to be easier than it is. Step-bonds are often the strongest after the kids are grown. Outsiders may appear as uninterested. Arguments in the family that may appear to be about trivial issues are really about adjusting to serious loss and change. Usually the Insiders control the territory. Ex-spouses are also considered Insiders. The Insiders too are facing loss of a dream of a happy intact family and can feel unsupported. Biological parents can feel frustrated, heart-broken, lonely, and frightened about loosening a close relationship with a child, and feel guilty about their children’s losses. Biological parents must let go of a strong wish for an easy transition between their new spouse and children. Just as the custodial parent feels torn between her kids and her new spouse, the non-custodial parent, often the father, also feels torn between his own children, the new spouse, and the stepchildren. Fathers must divide time, money and affection. Some are not able to sustain their commitments. Now they feel like an outsider in their first and second family which is a source of shame. It may appear that they are unwilling to be there for their own children, spouse and stepchildren. Feelings of jealousy and guilt reappear over and over with life’s milestones. Fathers whose children begin visiting less are at risk for depression. Their spouses may wonder if his grieving will ever end. Stepchildren reminds biological parent of his children and how much he misses them. Fathers need a place to share the guilt of being asked the parents to children when they can’t parent their own kids. Parents usually want more love for their kids, and stepparents want more discipline. Parents may feel guilty that their kids had to suffer through a divorce, and may undermine their second marriage to cater to the kids. Ron Deal, in his book “The Smart Stepfamily,” refers biological bonds as having auto-responses, like auto-grace, auto-access (my space is your space), and auto-patience to one’s own kids. The biological parent, who often has a source of nourishment and support in his or her children, may interpret the stepparent’s difficulty to bond as a lack of commitment or effort. Blood-bonds are better than step-bonds in discipline. Imagine learning the customs and expectations of a distant country. This culture clash affects parents and children. Insiders are torn between establishing new rules and a new culture for the family, maintaining the traditions and expectations of the biological family, and saving time and energy to save a precarious intimacy with their new spouse. Children struggle with too much change. There are key differences in the family they were in to the family they are now in. Showing affection is comforting for biological kids with biological parents, but for stepchildren seeing affectionate stepparents can be disturbing. Unlike intact families, a good marriage can make for more poorer stepchild adjustment. In addition, what if these two countries got to war and the conflict continues with one’s “ex.” Every transition from home to home would be a move into enemy territory. Nobody likes to feel this way. Adjustment to stepfamily is more stressful than adjustment to divorce. The feelings of parents, children, stepparents and stepchildren are confusing and can be a source of shame and resentment if not detected and expected. Outsiders cannot reach the status of a biological parent. When these intense feelings are combined with lack of information about the normal experience stepparents and biological parents are at risk for feeling crazy, ashamed and inadequate. Dispelling blending family myths is crucial. The benefits of a step-relationship may not appear until much later in both stepparent and stepchildren’s lives. If these emotions and processes are accepted as expected, less criticism and judgment helps a spouse relax considerably. Step-relationships take extra energy. 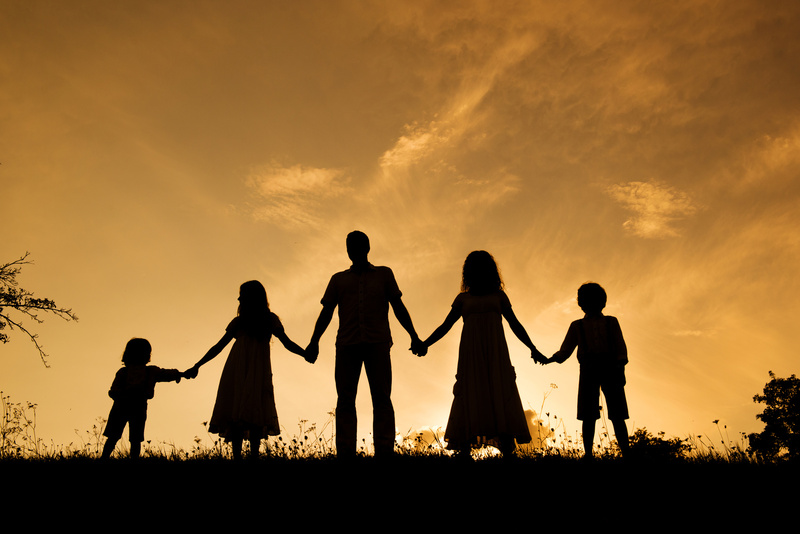 Stepfamilies work better when parents and children are not trying to force a relationship. Like intact families, each relationship between each parent and child will remain unique. The honeymoon may not be realized after the kids are grown. For more on redeeming the past, see Redemption Story: Blending Families.